After an awesome weekend in Morgantown, West Virginia, and its surroundings, are you just not ready to return to the weekly grind? Or were you stuck inside all weekend from rain throughout the Greater Morgantown area? Don’t worry, because Monday doesn’t have to seem like such a boring day after all. There are plenty of Monday things to do in Morgantown, and we’d like to share nine favorites that we enjoyed there. 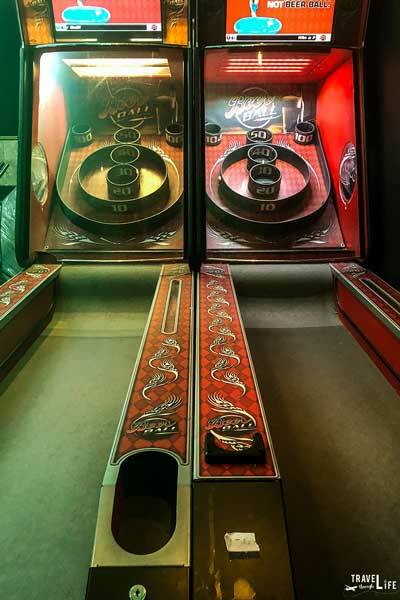 What better way to feel like it’s the weekend than a round of pinball or classic Pacman? Starport Arcade and Pub (Website/Facebook) has that and a lot more. Throw some skeeball or beat your friends in a heart-thumping round of Haloon Starport’s panoramic display. You can do all this while sipping a cocktail and forgetting about work or homework. They even have great Monday specials for students as well as drink specials! 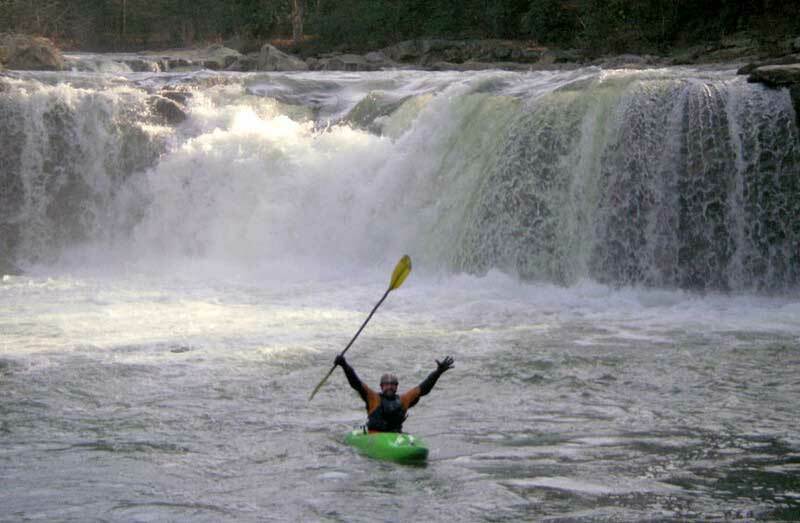 Call in “sick” and run the rapids with some Cheat River whitewater rafting or paddling (Website/Facebook). With various sections of the river ranging from lazy and calm to ripping and raging, pop yourself in a boat with some friends or your family and paddle your way to an extended weekend. Note: We at Travel Through Life take no responsibility for you losing your job or losing points in class for any unexcused absences. However, we will take credit for all the fun you’ll have in taking the day off! Take an extended lunch or study break and walk the board trails along The Cheat Lake Trail. Staring at the beautiful scenes around you might just give you the perfect idea to break through a mental block. Whether it’s a short walk or the whole 4.5 miles, the views of the lake along the abandoned railroad are sure to give you a pick-me-up to finish your Monday. Grab a group of friends and show off your unique skill sets with Monday Night Trivia at Iron Horse Tavern (Website/Facebook)! 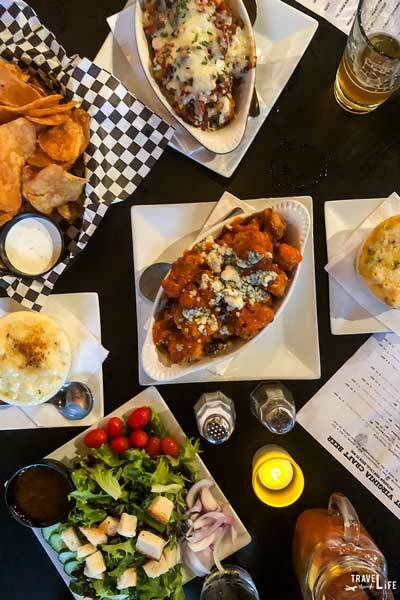 They also have awesome food and a great drink selection, so definitely order a table full of appetizers to share before putting your heads together to dominate the other teams—I mean, have a great time with no pressure at all to win! 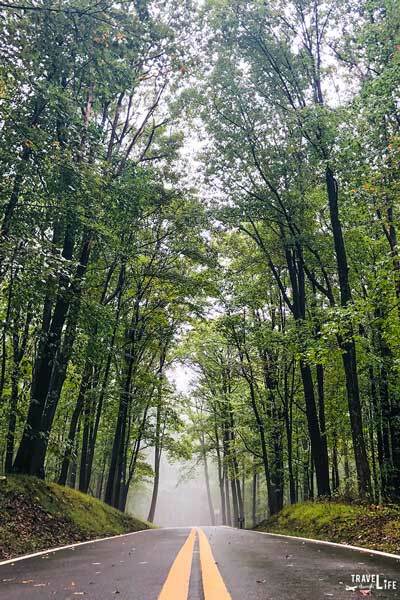 The moment you enter Coopers Rock State Forest (Website/Facebook), it feels like you’ve been transported into a fairytale. With the green moss and the looming trees, just driving up to the overlook can instantly calm anyone. 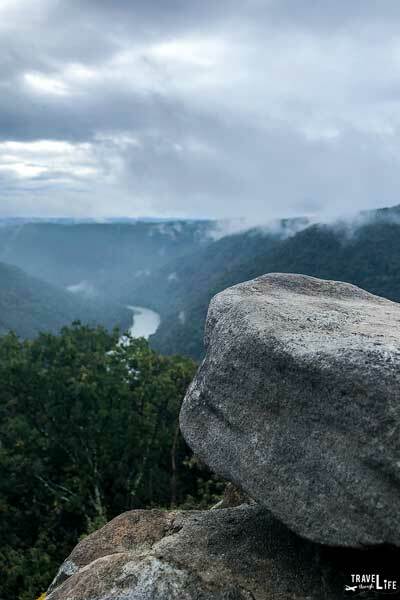 You can easily sit on Coopers Rock (pictured, top) and soak in the West Virginia hills or choose a trail and get deep into the woods. Either way, you’re bound to forget that the weekend ever ended. 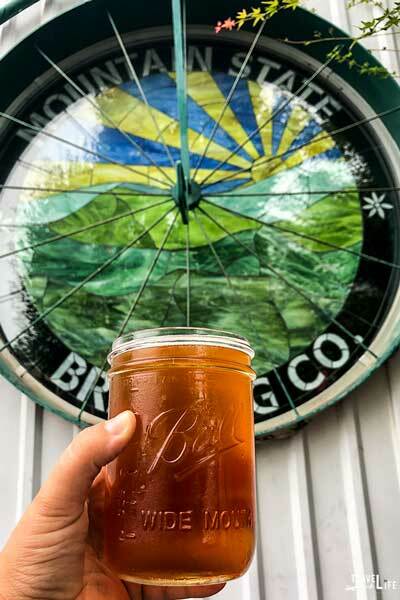 Shake that lackluster by pulling up a sawhorse and drinking a pint out of a mason jar at Mountain State Brewing Co. (Website/Facebook) Feel right at home with West Virginia-themed brews like the Miner’s Daughter Stout, Dolly Suds Cranberry Wheat, and Almost Heaven Amber Ale. 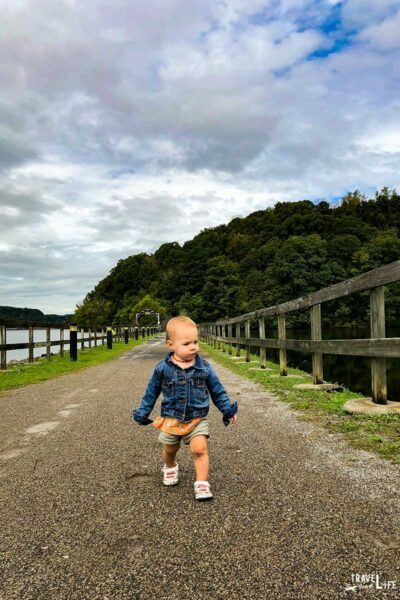 Order a flatbread and watch it bubble in the wood-fired grill or take a post-meal stroll along the Monongahela River on the Caperton Rail Trail. 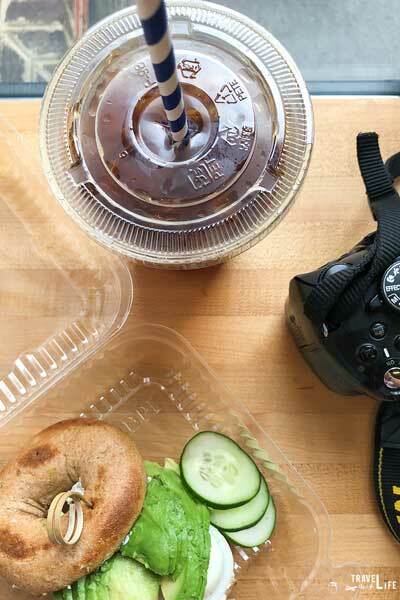 Need to fuel up before the day begins? Squash those Monday blues before they even begin with a local cold brew and artisan flatbread at River Birch Cafe (Website/Facebook). Treat yo’ self by ordering a French Press of Blue Jamaican and relax for a few before starting your week. Don’t have time? Grab and Evergreen Smoothie to go and jumpstart your veggie intake for the day! Get out of town without having to go too far at Dorsey’s Knob Park. Grab some friends or go solo for a round of disc golf. Or you can just go check out the views of Morgantown and beyond from 600 feet above. No need to take the day off (unless you want to! ), as you can quickly climb up on Sky Rock at the end of the day. Is your boss or the idea of going to class really annoying you today? 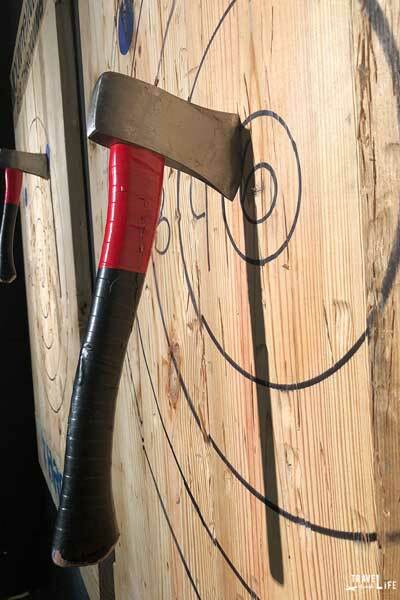 Take out the angst like a true Mountaineer at Mountain Man Axe Throwing (Website/Facebook)! Bring your own beer and order a pepperoni roll while you and your friend take turns flinging an axe at the target. Whether you use two hands or one, men and women can take a stab at being a Mountain Man for a day. There’s no reason for Monday to be the worst day of the week. Whether you’re going back to work after a fun-filled West Virginia weekend and want to extend the joy or need to have a quick getaway, Mondays are an awesome day in Greater Morgantown! From enjoying artisan coffee and craft beer to releasing that aggression with axe throwing, there’s something for everyone! Contact us to request to contribute to our blog.